I was looking through the Spectrum Noir blog for tutorials to try and found this on how to color with the pencils using a crosshatch pattern. I loved the look and wanted to give it a try. 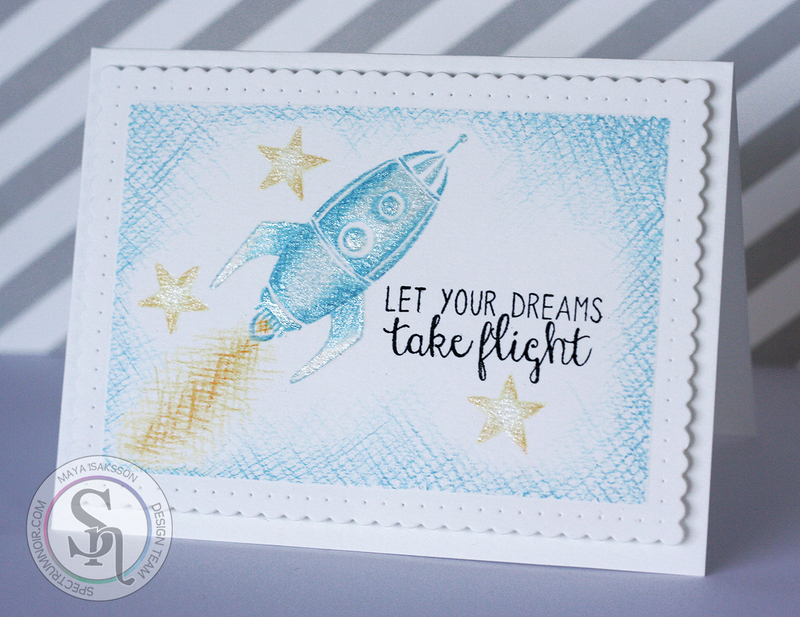 I found a really old rocket stamp by My Minds Eye and stamped it in light blue ink and started crosshatching. It was so much fun! 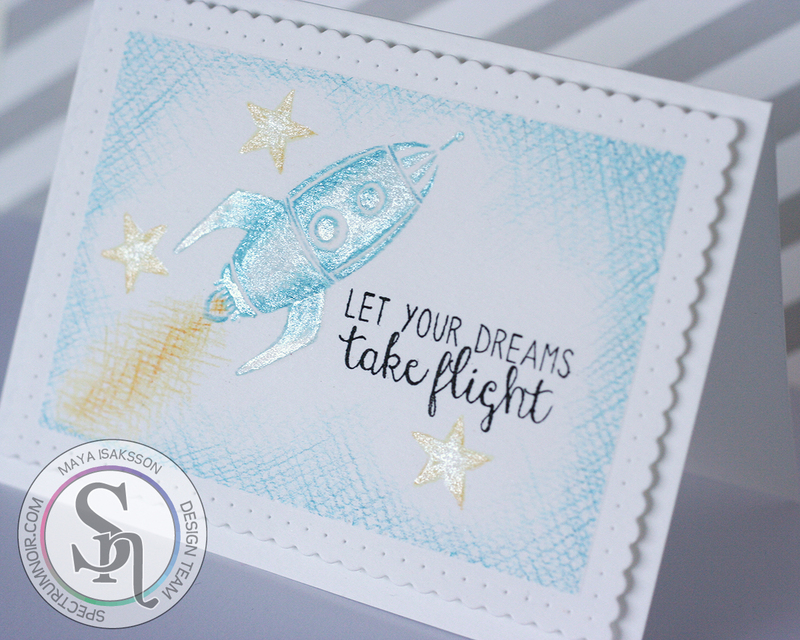 I added some stars too and a background and a sentiment that went with the rocket. I also covered the rocket in Clear Sparkle pen. Because it sparkles and I can't stop using it on everything. 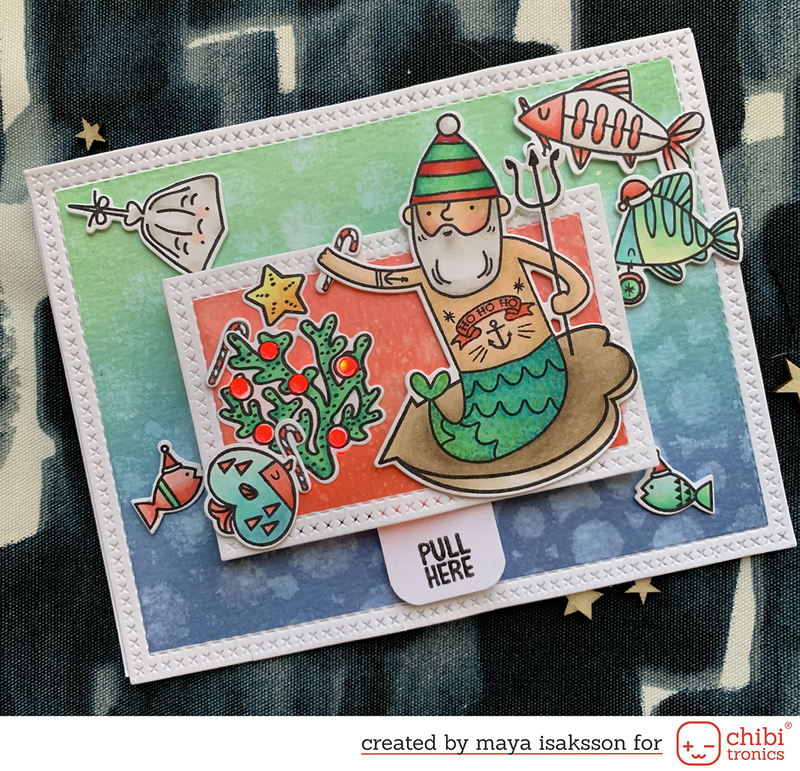 I hope you liked the look of this, I think it's a bit different and interesting. See you soon again I hope!